Uppsala University is the oldest university in Sweden, founded in 1477, with a living cultural environment and extraordinary student life. There are 45,000 students here, and they are seen, heard, and noticed everywhere. World-class research and high quality education pursued here benefit society and business on a global level. Uppsala University gains and disseminates knowledge for the benefit of humankind and for a better world. 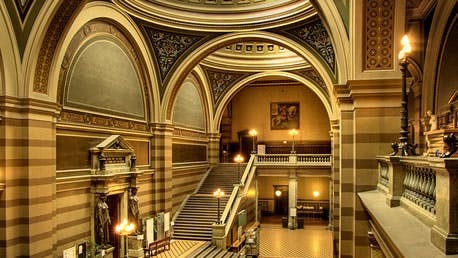 Uppsala University is a local, national and international meeting place for knowledge, culture and critical dialogue. Uppsala University develops new areas of knowledge through cross-disciplinary cooperation. Bold goals demand perseverance and the courage to venture along new paths. Uppsala University stands behind the search for knowledge in order to contribute to human knowledge and global development. Research should take on the major challenges facing society as well as purely scientific questions. The University in all its breadth provides unique opportunities for cross-disciplinary collaboration and new combinations. The ability to attract and to create good working conditions for skilled academic staff is the most important factor for the University’s success in the international academic community. If you are about to finish your studies and want to start planning for your next step in life, you are welcome to UU Careers for support and guidance. Of course the services are free of charge. The Student Services Office will help you with questions about admissions, registration and degrees. Adjacent to the Student Services Office there are study and career counsellors who will support you in questions about your study and career choices. There is also coordinators for students with disabilities. At the Student Services Office you can apply for degree certificates, as well as get a signed official transcript of records. Uppsala University will guarantee an offer of housing to all fee-paying Master's students and several other groups of students attending the university through collaboration agreements prioritised by Uppsala University management. This may include formal exchange students. From autumn 2016 and onwards, students will be offered housing for the duration of their studies provided they have submitted their housing application before 31 May. Rent will cost between SEK 3500 and 6000 per month. 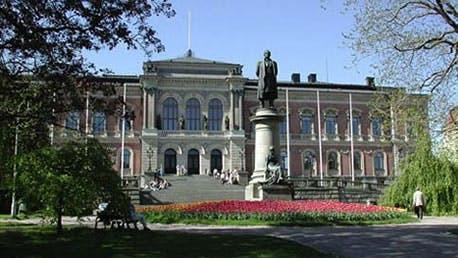 Uppsala University Library has a long history; it was founded in 1620 by Gustavus Adolphus, who also donated the first collections. The first Library was housed in a building that was later demolished, close to the cathedral. In 1841, Carolina Rediviva was completed as the University Library, and at that time, the collections numbered about 100,000 items. With your student account, you can get access to two wireless networks: eduroam and UpUnet-S. However, if you are studying at Campus Gotland you only have access to eduroam. eduroam is available at many other universities in Sweden and across the world – and you only need to set it up once. UpUnet-S is the University’s own computer network. Sweden is probably one of the safest countries in the world and whether students live in Uppsala city or in Visby at the island of Gotland, they live in a cultural setting with roots harking back several centuries. They can all experience student activities far beyond the ordinary. As a student you also have access to modern facilities in well equipped labs, libraries and lecture rooms. Free Wi-Fi is available on all campuses. Campus1477 in Uppsala operates two training facilities at the university campus areas, one at Science Park and one at Blåsenhus. They offer large gyms, more than 100 group training sessions a week, rope and boulder climbing, spinning and various ball sports. As a student or PhD-student you get the lower student price on their membership cards. 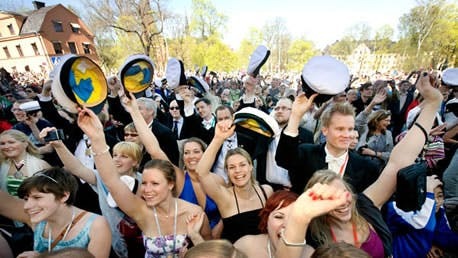 Uppsala University has four student unions: Uppsala Student Union, Uppsala Union of Engineering and Science Students, Pharmaceutical Student Association, and Gotland’s Student Union Rindi.These organisations are created and driven by students, for students. The main goal of the unions is to ensure the interests of Uppsala University students are always prioritised and protected. They deal with issues concerning education, health and welfare, equality, internationalisation, housing and economy.